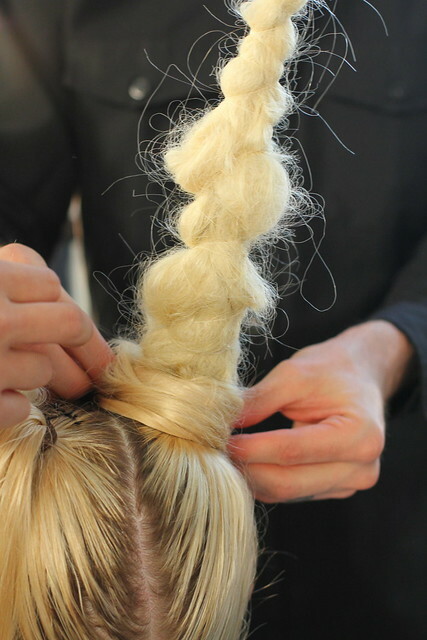 Jimmy Paul for Bumble and Bumble used floral wire inside of braids (both natural hair, and extensions, depending on the model) to create the stick straight ponytails. 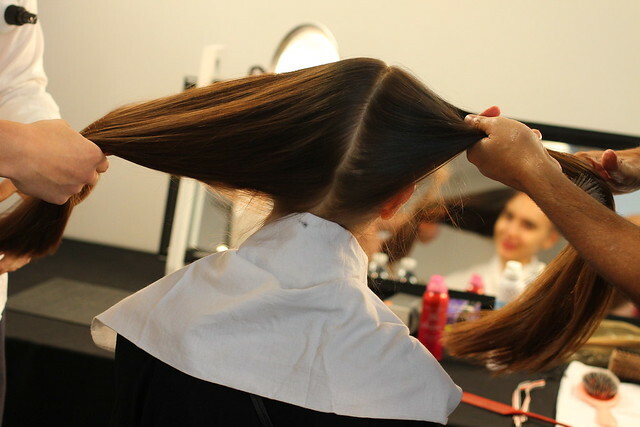 Spray Bumble and Bumble Thickening Hairspray was sprayed onto the roots, and hair was combed into two ponytails on the top of the head. 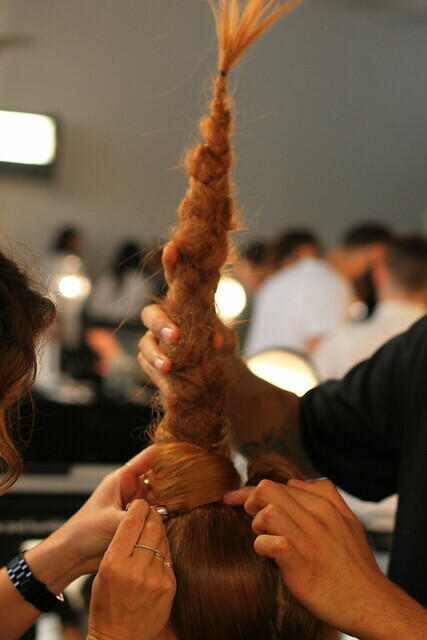 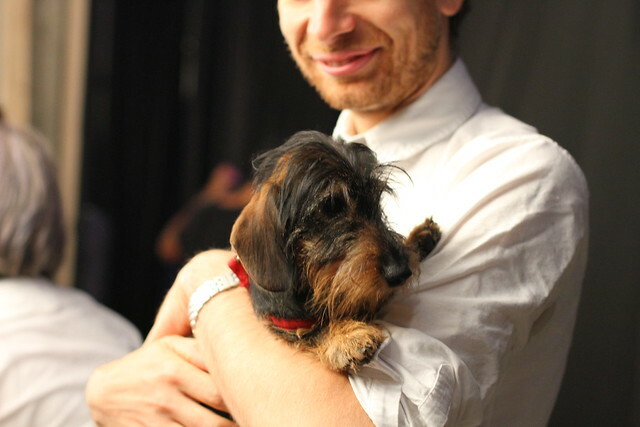 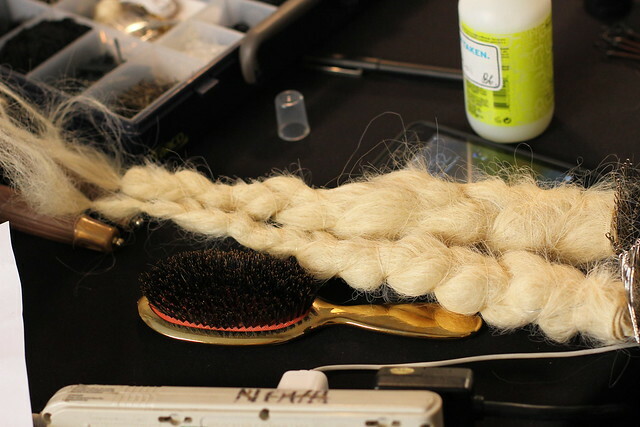 Hair was then separated into 3 sections for the braid, with a corresponding piece of floral wire in each section. 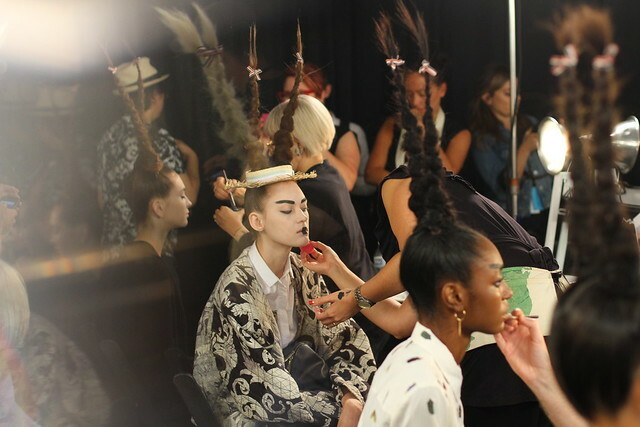 To finish the look, Classic Hairspray was sprayed liberally on the braids, then dried with a blow dryer. 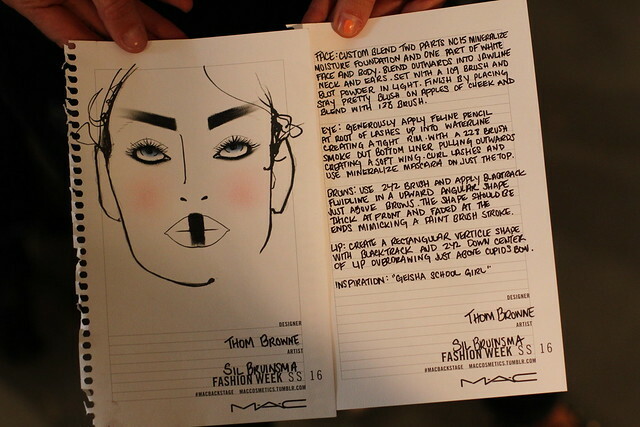 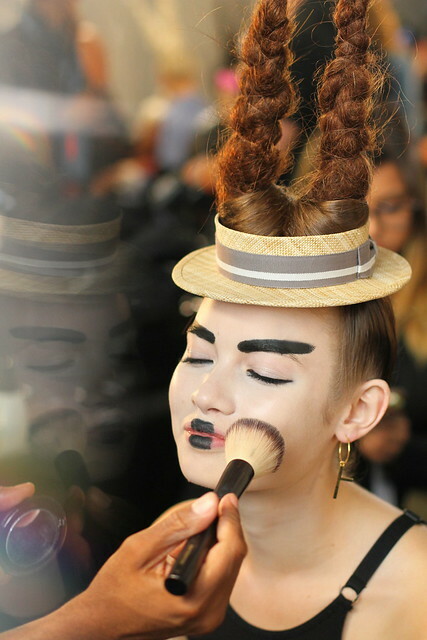 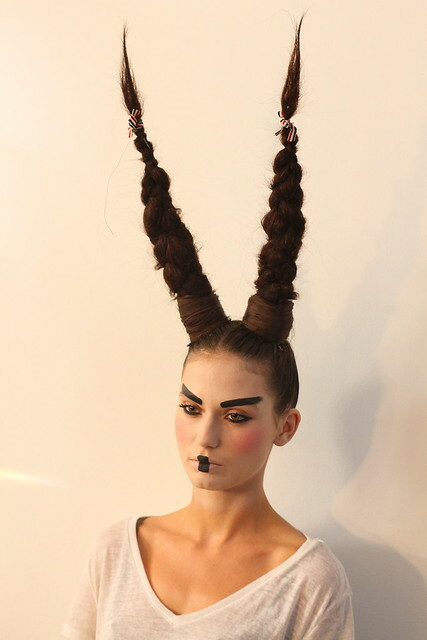 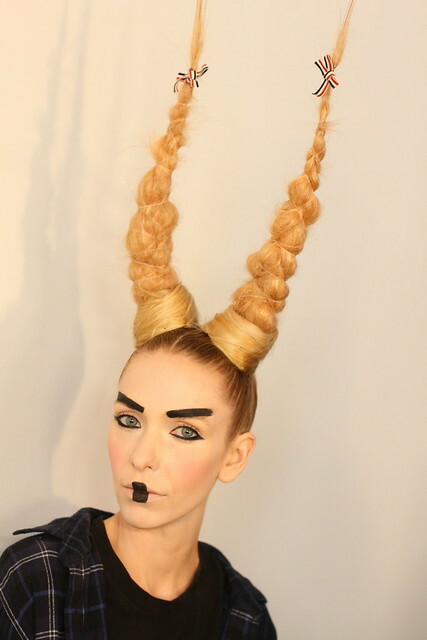 MAC’s Sil Bruinsma once again created an amazing complementary beauty look for this season’s show. 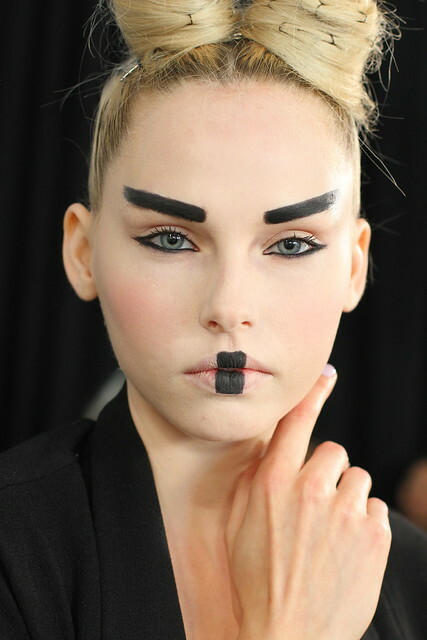 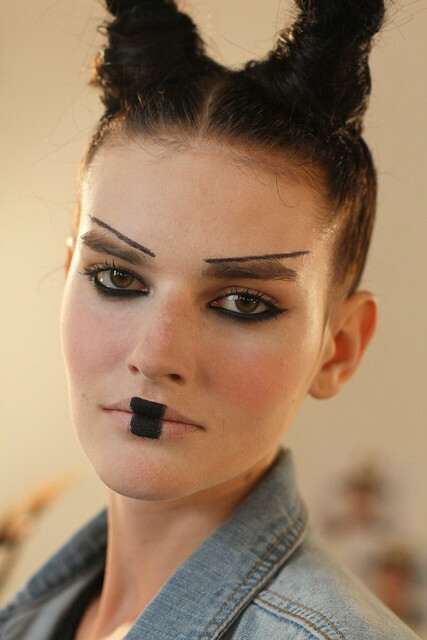 Part Geisha school girl, part “Queen Amidala from Star Wars” the look featured a stark white face, with shocks of thick black on both lips and eyebrows, created with Feline Eye Pencil, and Blacktrack Fluidline liner. 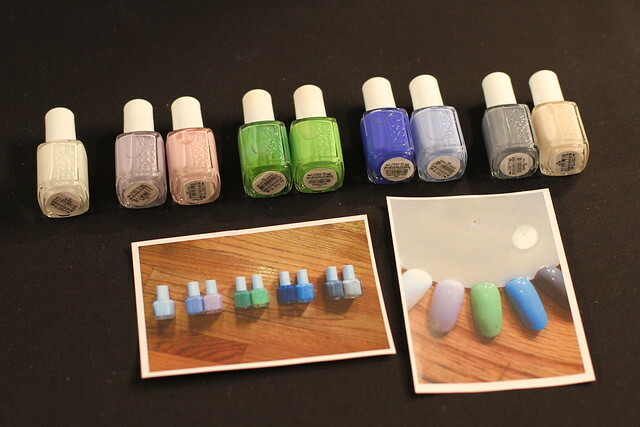 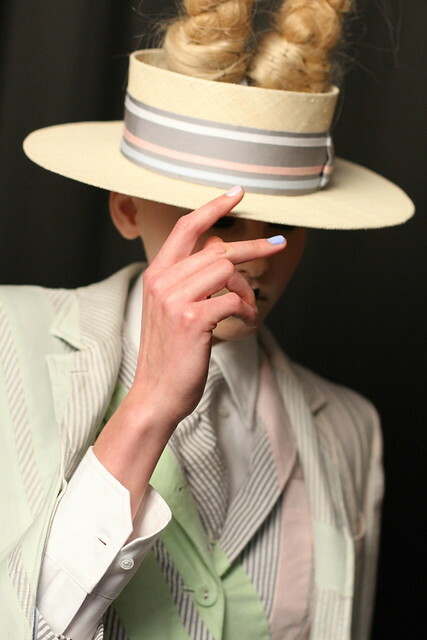 The beauty look was topped off with nails by Julie Kandalec for ESSIE. 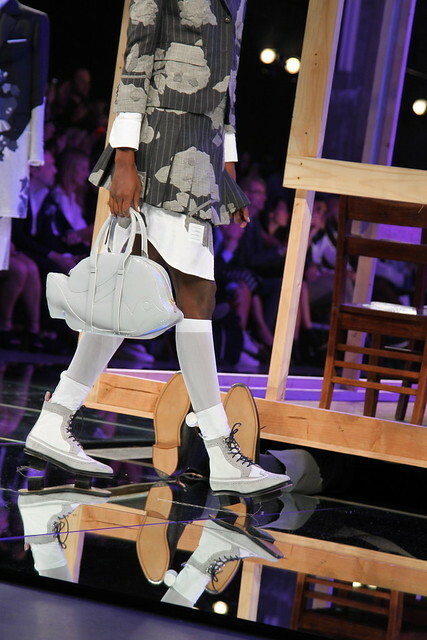 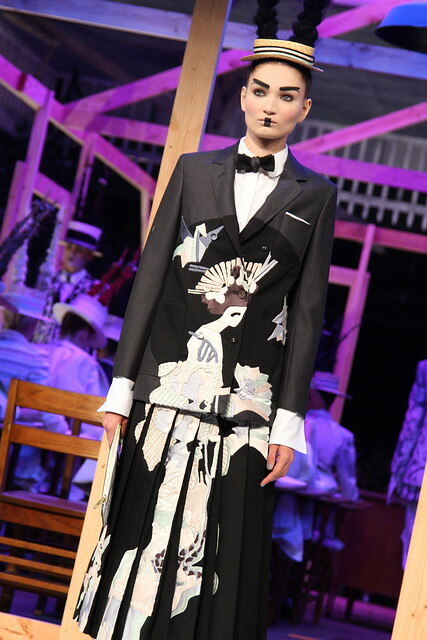 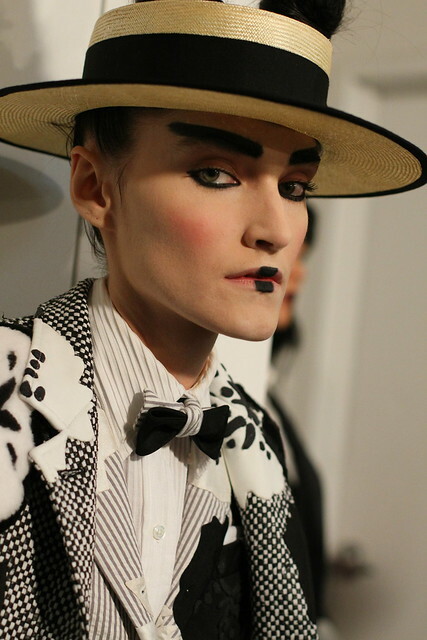 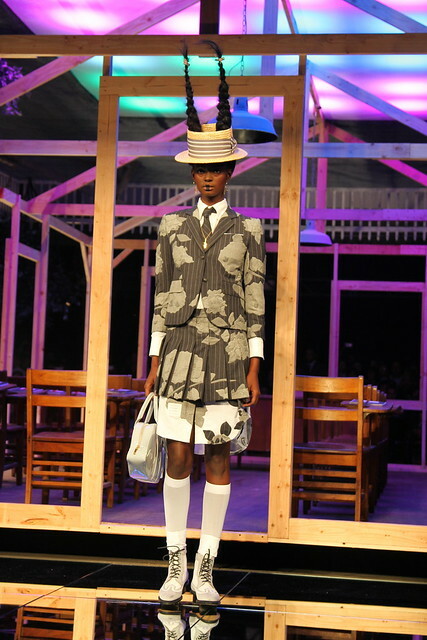 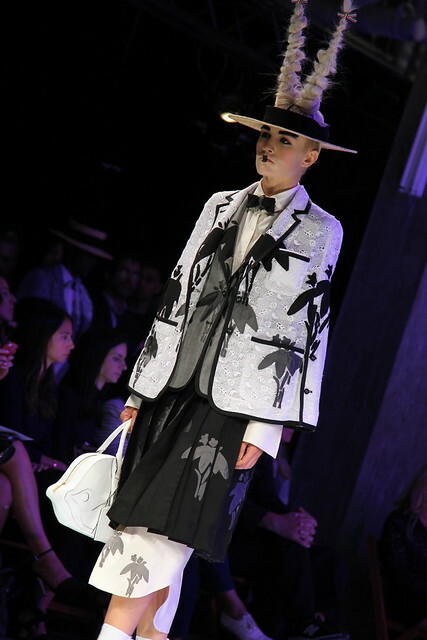 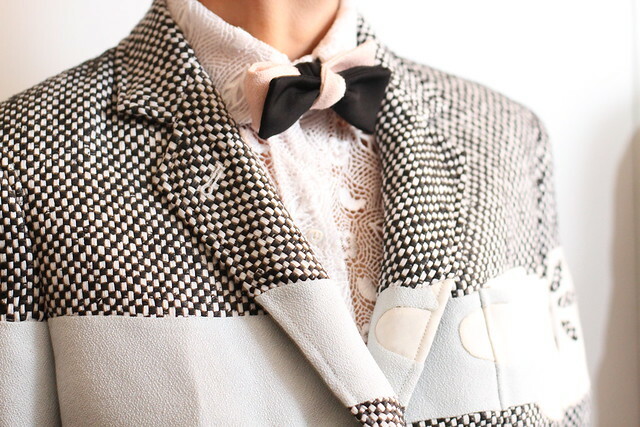 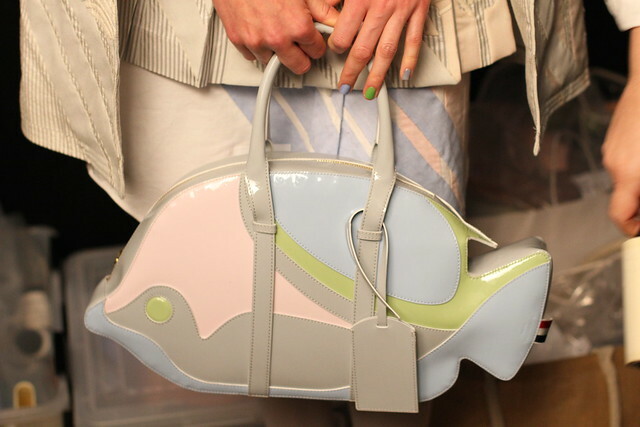 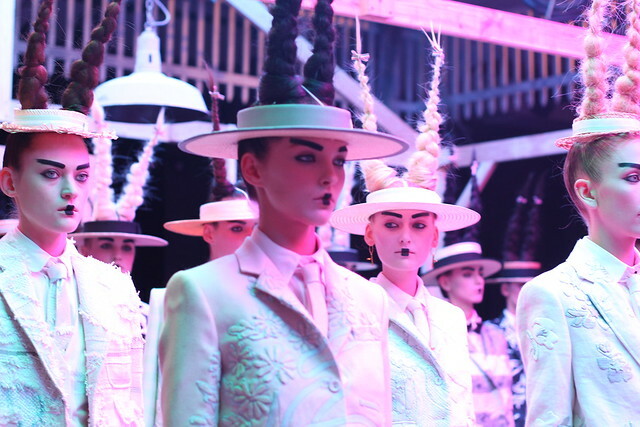 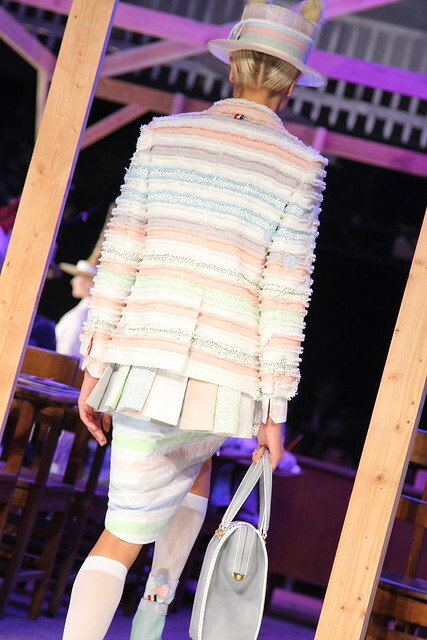 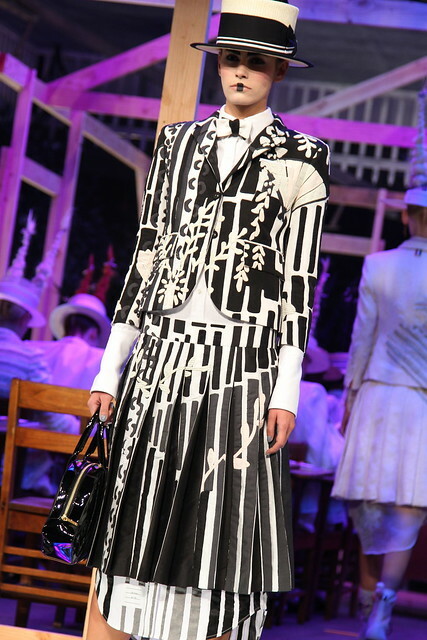 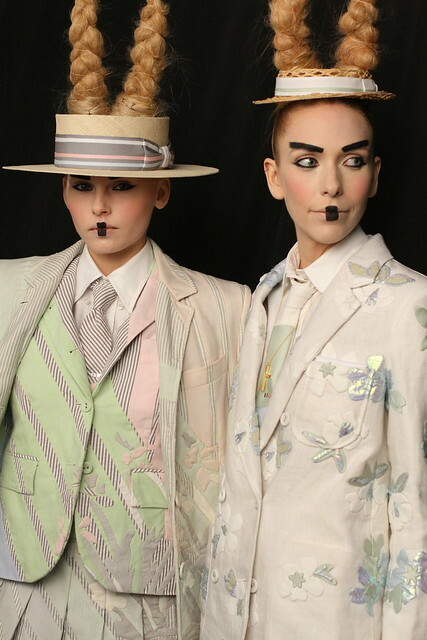 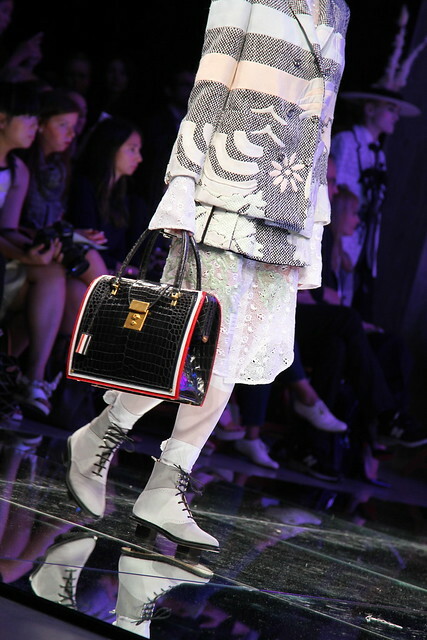 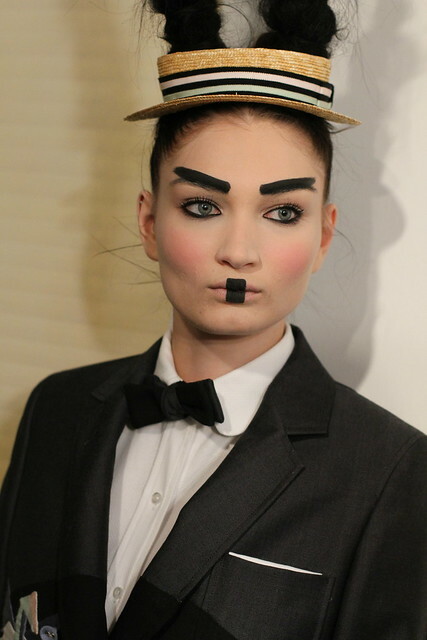 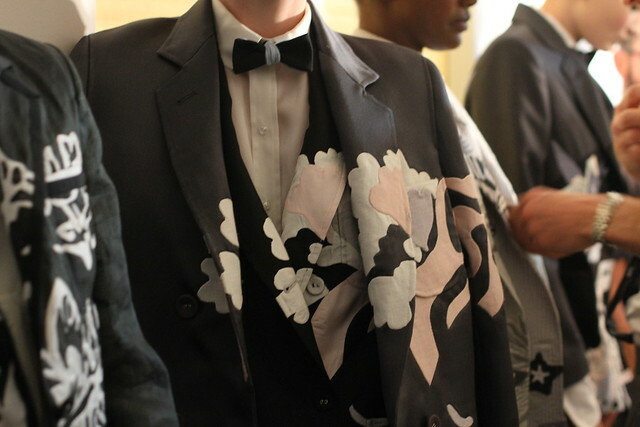 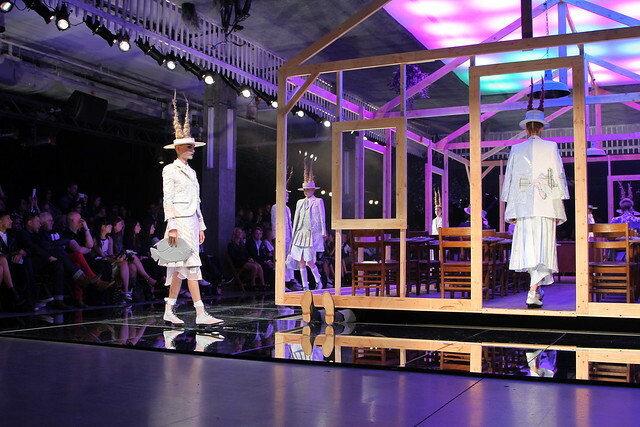 It’s no secret Thom Browne loves a good uniform. 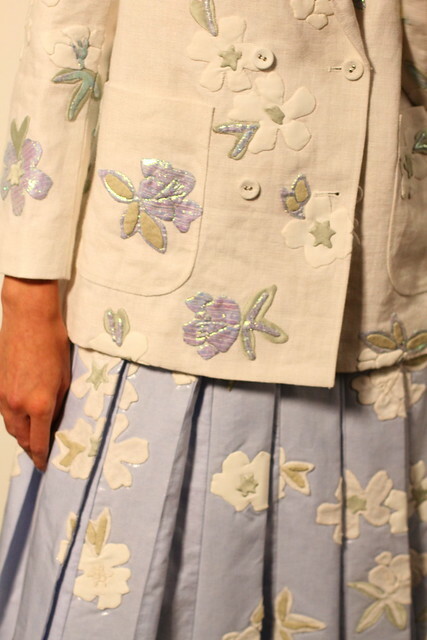 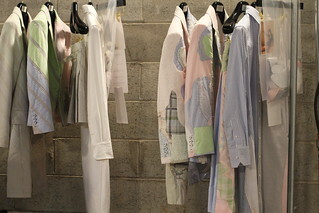 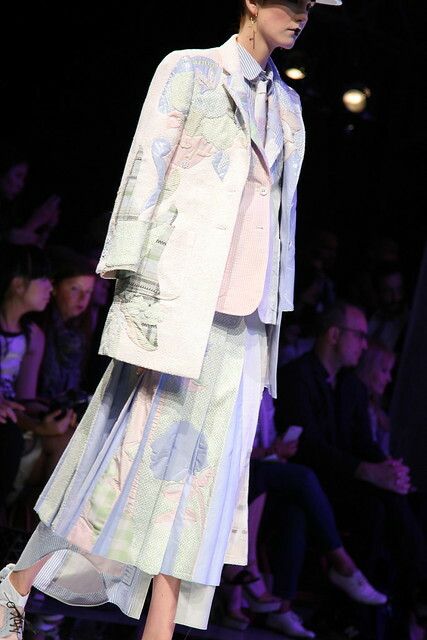 In lieu of the mostly red, white, and black color palettes of the past few seasons prior, the Spring collection featured a more muted pastel colorway, with traditional Japanese patterns and illustrations embroidered onto the clothing. 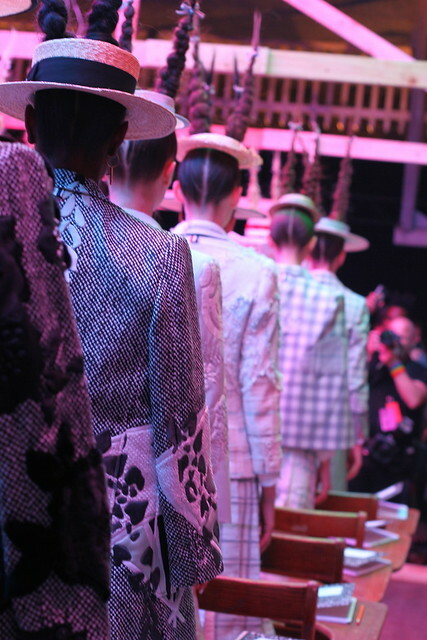 In short– it was gorgeous. 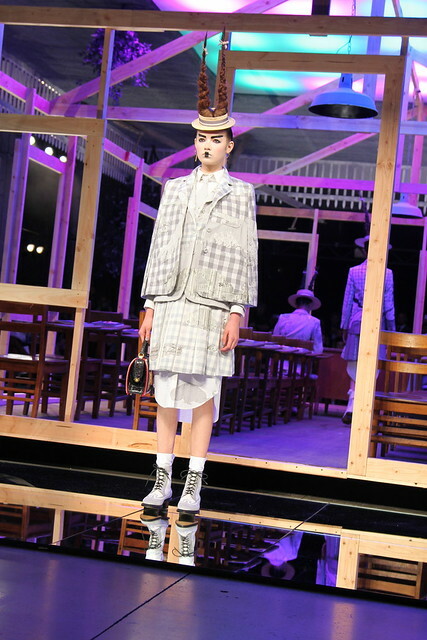 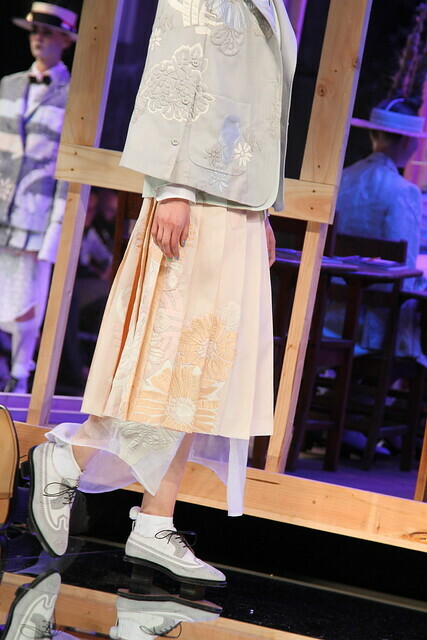 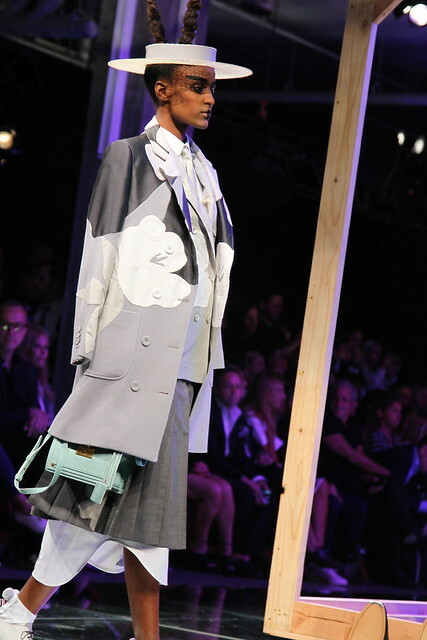 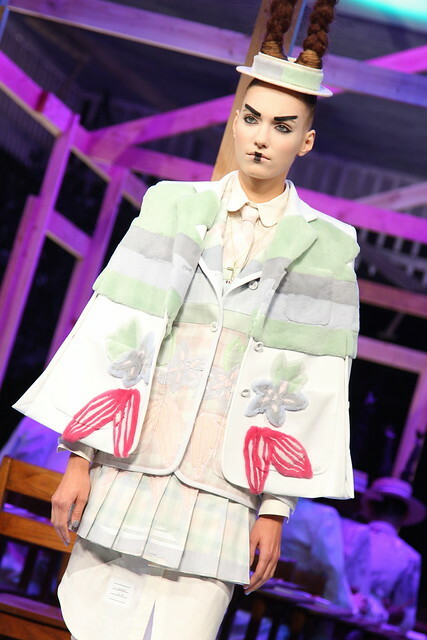 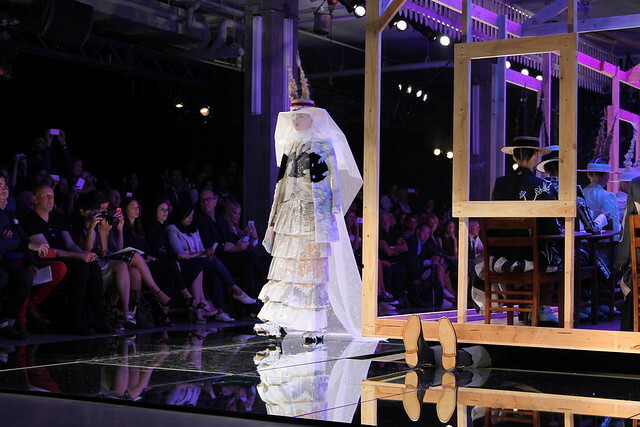 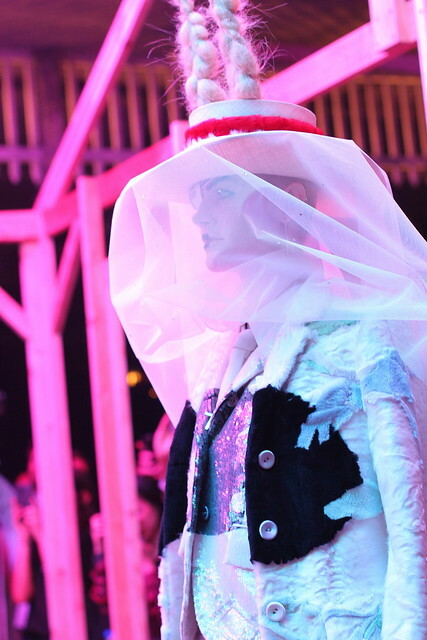 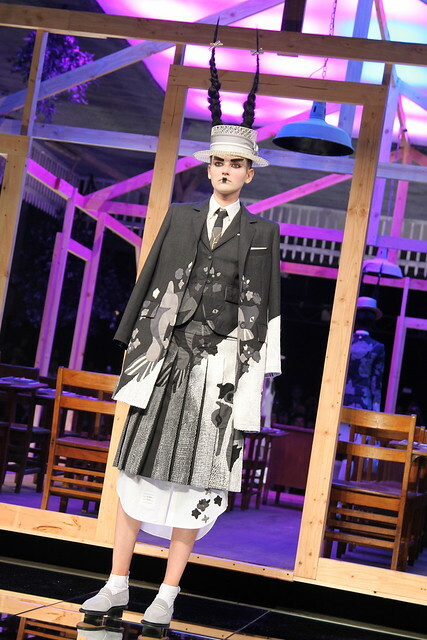 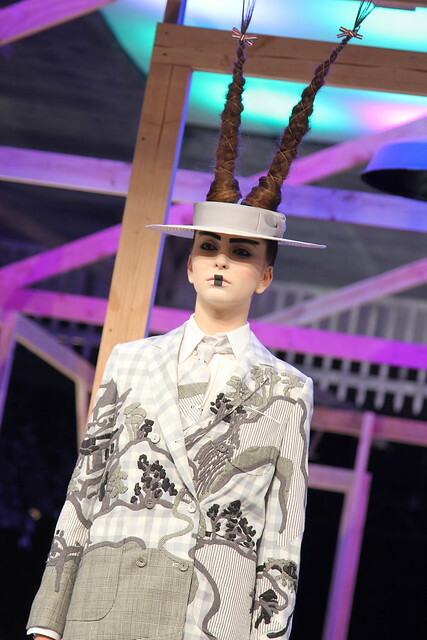 And stood out perfectly amongst the “school house” runway set.